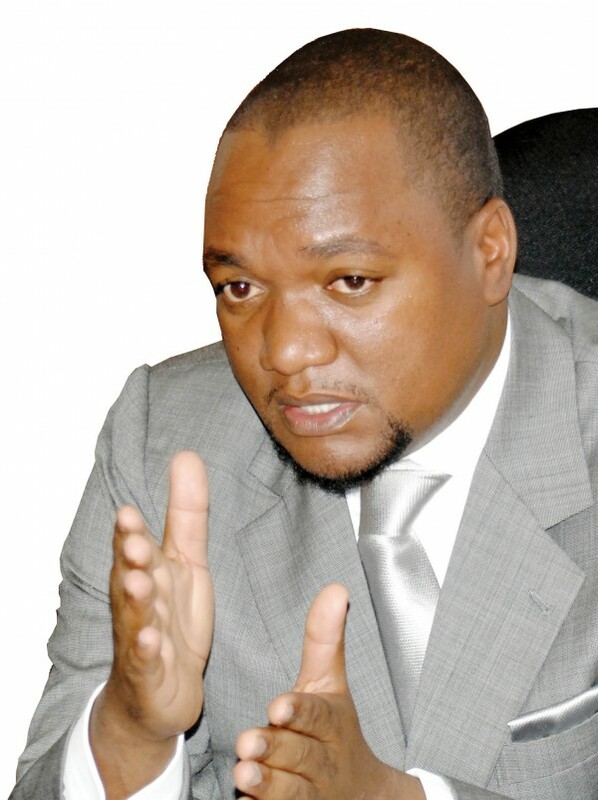 Democratic Front president Miles Sampa has revealed that the PF government has siphoned (withdrawn) the Kwacha liquidity out of the banking system and financial market to support make the Kwacha gain against the Dollar. Sampa also believes that the PF has ordered the Bank of Zambia to pump about $1billion into the market directly or indirectly to temporarily support the Kwacha. ‘I challenge the Government to deny that they have not used Foreign exchange reserves to temporarily support the Kwacha. In doing so, can they state what our Reserves were at the beginning of the year ( around $3.4 billion) and what they are now. When those figures are availed, you will find that about $1billion may have been pumped into the market directly or indirectly,’ Sampa said. And Sampa says this gimmick by the PF will lead to job losses because ‘When companies have no access to affordable Kwacha loans, the next thing they do is scale down operations and lay off workers’. The recent Kwacha appreciation against the US dollar and other major currencies is in my view, not sustainable. This is because it is not backed by any significant improvements in economic fundamentals . Exchange rates appreciate or depreciate based on an increase or decrease in the value of exports or imports. For the last year or so, Government has told us that the huge Kwacha slump was due to reduced global demand and reduced world market price of our main export commodity, Copper. The question is; has the price and demand of copper now improved significantly on the global market? I think the answer is No. As at end of 2015, London Metal Exchange (LME) Copper price $4800 per tonne and now fetching around $4600 per tonne representing a 5 percent copper price reduction in the 3 months period. If Copper volumes and prices are still not favorable and if anything getting worse, the question is whether there is any other commodity that Zambia has suddenly exported worth influencing the Kwacha parity? The answer is No. Is there something Zambia was importing in huge volumes and now stopped doing so? The answer is no as we are still importing fuel and other retail consumption goods. My take is that the appreciation of the Kwacha is simply due to interventions from the Bank of Zambia (BOZ) who are selling Dollars from our Foreign exchange Reserves. While the recent Kwacha appreciation may be deemed as good for the Country; it’s the means to the end that are neither ideal nor sustainable. It’s like pushing a sponge downwards in a bucket full of water. Once the human hand is withdrawn, the sponge will spring back up with massive force within no time. To put it differently, It’s like a poultry farmer slaughtering pullets to please children or guests. Sooner than later, the farmer will have no chickens or eggs for sustained existence of the homestead and in this case, our economy. I challenge the Government to deny that they have not used Foreign exchange reserves to temporarily support the Kwacha. In doing so, can they state what our Reserves were at the beginning of the year ( around $3.4 billion) and what they are now. When those figures are availed, you will find that about $1billion may have been pumped into the market directly or indirectly. One wonders what will happen to the rate when they run out of reserves to spend. The other reason for the sudden gain of the local currency is that Government has opted to siphon Kwacha liquidity out of the banking system and financial market to support the exchange rate. As a result, the Kwacha lending rate has surged to over 20 percent and instantly put some companies and SMEs out of business. When companies have no access to affordable Kwacha loans, the next thing they do is scale down operations and lay off workers. Simplified, any current gain in the value of Kwacha using the ‘liquidity squeezing’ method, has equivalent huge job losses due ‘cash squeeze’ inside balance sheets of SMEs and various companies. Government’s approach of solely focusing on exhibiting a strong Kwacha for political expedience is therefore not worth the troubles it is causing in the economy. In business and corporate world, it said that ‘cash is king’ and if squeezed dry, no one survives. Their approach is a panacea meant to provide relief but not solutions to our monetary problems. It’s like taking panadol to cure malaria. One feels better for a few hours but the potentially fatal disease is still there. I could not help but laugh when I saw Kambwili on TV stating that the current appreciation of the Kwacha, is due to massive confidence in the Edgar Lungu administration . I guess conversely he is also agreeing that the massive depreciation (60 percent) in the last one year was due to a massive lack of confidence in the same administration. By implication , Kambwili is also telling us that any consequent depreciation between now and election time, will be a sign of lack of confidence in the PF government . In a nutshell , this appreciation is not genuine and will backfire sooner rather than later as it is not backed by an actual improvement in the country’s terms of trade. It is simply a charade process by authorities that is not sustainable and cannot be relied upon for the well being of the national economy. The current Kwacha appreciation of approximately 12 percent is more of a political gimmick than an economic gain in overall gross domestic product (GDP) of the Country. Mixing political and economic variables into the financial markets normally tends to backfire in no time. I stand to be proven wrong in the next 4 months.